Home Read What Does Kickstarter’s Launch in Japan Mean For Games? You may have missed it, but on September 12th, Kickstarter announced they were officially open to creators from Japan. Considering this news was initially teased over four months ago, I was beginning to think it was never going to happen. But now it finally has, what could we potentially see in terms of video game projects? More to the point, haven’t there been Japanese projects on Kickstarter already? Beginning with the second question, yes there have actually been projects that originated in Japan but they’ve always had to collaborate with partners from other countries. In fact three of the highest-funded video game projects on Kickstarter are from Japan in the form of Bloodstained, Mighty No. 9 and Shenmue 3. There have actually been 60 video game projects from Japan in total – the majority of which were visual novels. But what can we expect now that Japan has become the 22nd country able to launch campaigns on Kickstarter? Well in terms of video game projects, I’d say not much. There doesn’t seem to be any indications of anything exciting happening. As recently reported here on Cliqist, the indie game scene in Japan is far smaller than in the West. This goes some way to explaining why the games we’ve seen in the past have tended to be visual novels (relatively simple in terms of development) or high-profile projects from well-known developers. Looking back at the last few countries to join Kickstarter doesn’t inspire confidence either. The additions of Hong Kong and Singapore almost went unnoticed. Mexico meanwhile had some success with social and design categories, but the attempts at video games have been largely forgettable. Japan does have an incredible legacy with video games though, and I’d like to hope we’ll see something special launch in the next few months. 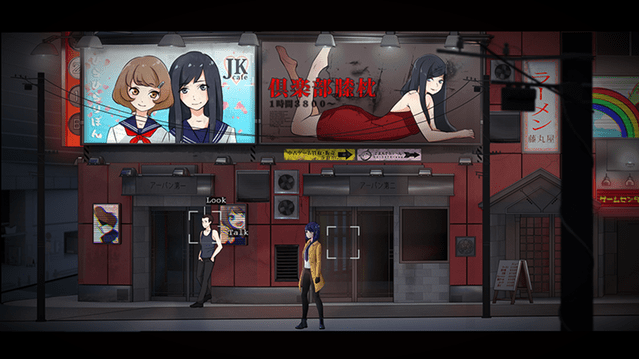 And to inject some positivity, the rather wonderful Tokyo Dark was released earlier this month, after being successfully funded on Kickstarter back in June 2015. And in case you were wondering, here are the 22 countries from which creators are currently able to launch projects on Kickstarter and the dates from when they were able to do so.